ADELIS is an analytical instrumentation company, which manufactures and sells a range of LIF (Laser Induced Fluorescence) detectors and LEDIF (LED Induced Fluorescence) detectors. The company has established a long-standing reputation in high-precision fluorescence detection by employing a unique technology incorporating several innovative developments. The detector is commonly employed in R&D and quality control laboratories in pharmaceutical companies, research institutes and universities in Europe, North America and Asia. The LIF and LEDIF detectors are coupled to High Performance Liquid Chromatography (HPLC – fast-LC, capillary LC and nano LC) and Capillary Electrophoresis (CE) separation systems, to determine the concentration of a compound in a complex micro sample. The detectors can detect exceedingly small levels, typically nano molar (10-9) and picomolar (10-12) of the compound of interest. Picometrics provides the market with a unique offer of detectors covering a large range of wavelengths from UV to visible to quantify naturally fluorescent compounds as well as derivatives. The company can assist the analysts in the development of separation methods as well as derivatization methods. The detectors are employed in a broad range of applications including the analysis of Amino acids, Homocystein and Cystein, Peptides, Biogenic amines, Proteins/Oligoproteins, Sugars, Alcohols/Thiols, Organic acids, Pesticides and Aromatic Pollutants. Moreover, ADELIS is currently developing a new range of products based on an innovative, patented concentration, separation and purification technique (μLAS) invented by the French National Research Agency (CNRS). The μLAS platform is an enabling technology, which paves the way to profile from low (100 bp) to high (> 200 kbp) molecular weight DNA for a large range of market applications. 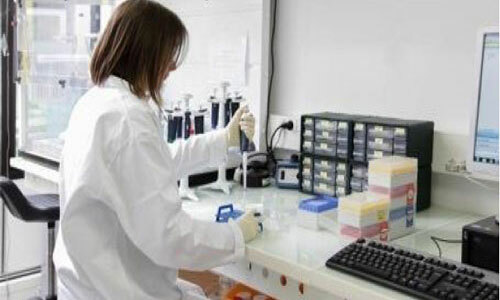 In particular, the technology is the unique technology able to profile circulating cell-free DNA in blood samples. 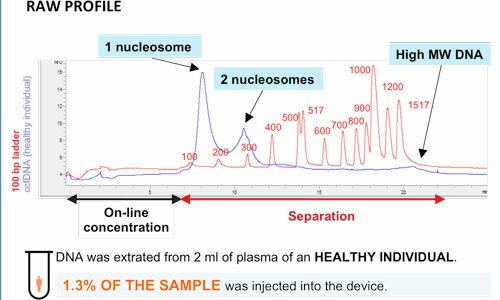 ADELIS offers cfDNA analysis services as service delivery or in partnership extending its large analytical methods portfolio for its customers. Its sister company ID-Solutions offers a complete workflow for oncology diagnostic on circulating DNA from liquid biopsy and tumour DNA from solid biopsy. Agro Paris Tech Engineer 1985. After various experiences in public research, he was the technical director of a family company specialized in veterinary diagnostics. In 2004, he created IDVET, then IDVET Genetics in 2014, and IDSOL in 2016. After its graduation of the École Polytechnique (Paris – France) in 1985, he obtained a doctorate in Molecular Biology from the University of Paris VII in 1989. He has 29 years of experience in the biology and biotechnology sector. He has worked at the interface of engineering and biosciences in different companies and environments such as medical devices (Hemodia), in vitro diagnostics (BioMérieux, CEA-LETI), and molecular biology (Genethon, Bertin Technologies) where he has managed development teams on industrial projects. After her graduation of the École Normale Supérieure (ENS Lyon-France) in 2008, she obtained a phD in cell and molecular biology specializing in oncology from the University of Lyon in 2012. After 10 years of experience in the field of health biology, she obtained an MBA and is currently in charge of business development and marketing/communication. 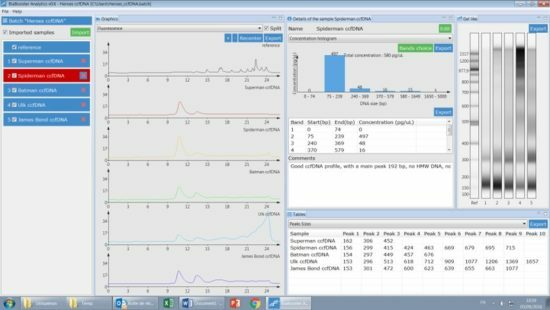 The BIABooster Analytics software is designed to analyze raw fluorescence data and to translate them into fully informative concentration distribution according to DNA size, using calibration with a standard sample. This intuitive and user-friendly software contains key features for automating or streamlining QC of the experiments, data analysis, sample comparisons, export of graphs and data, and reporting.